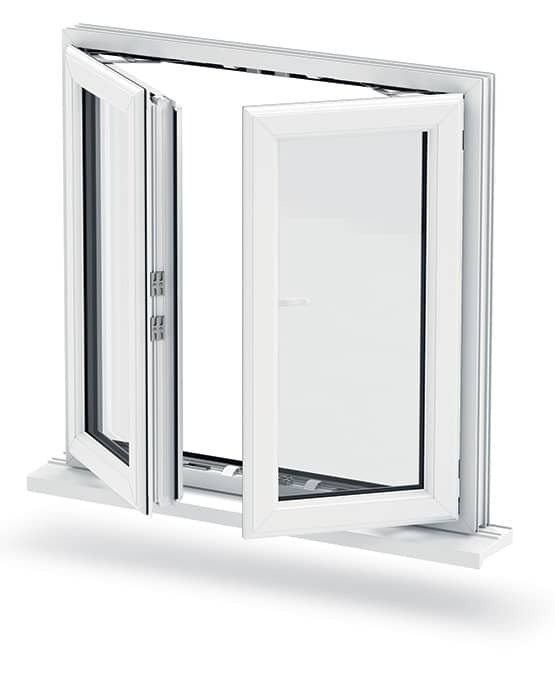 Our French casement windows are all Part B compliant. 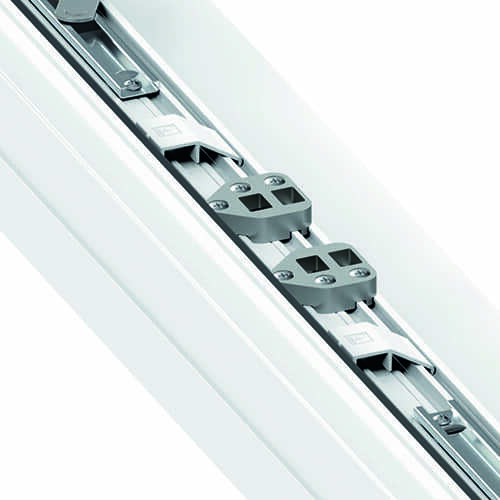 This makes them ideal for narrow openings which can also function as a fire escape in the event of an emergency. The multi-functional design allows the master sash to be opened separately from the slave sash. This creates controllable air flow to aid ventilation of your home. 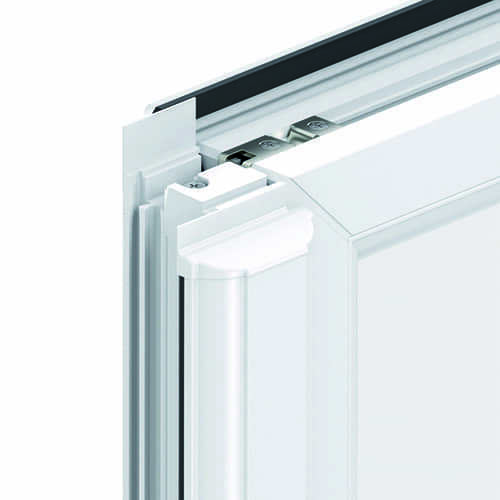 The sashes can open to a complete 90° which creates a fantastic feeling of space. Let the outdoors in and allow plenty of natural light to enter and open up your home. Each French casement window contains a flying mullion which is part of the slave sash. This intelligent design feature creates unrestricted, clear views outwards when fully opened. 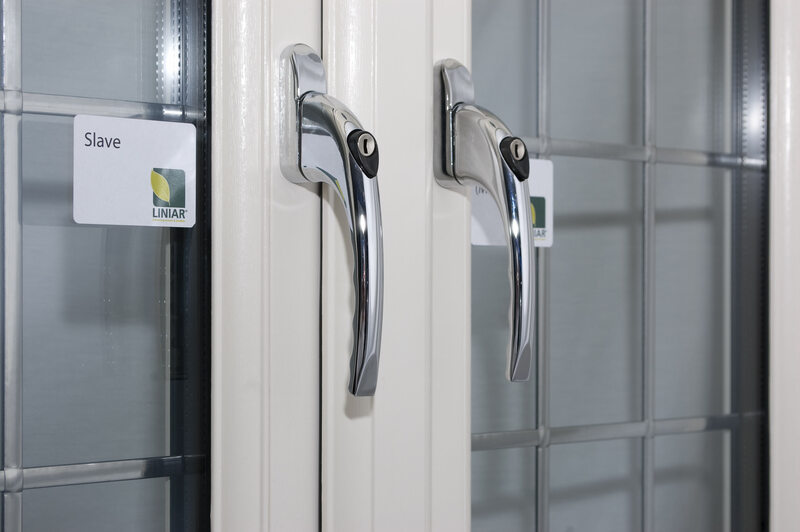 uPVC Liniar profiles in all of our windows are 100% lead-free, completely recyclable and part of a sustainable manufacturing process, making them entirely friendly to the environment. Our French casement windows are extremely low maintenance with only an occasional wipe down necessary, with the option of easy clean hinges available to make it even easier. 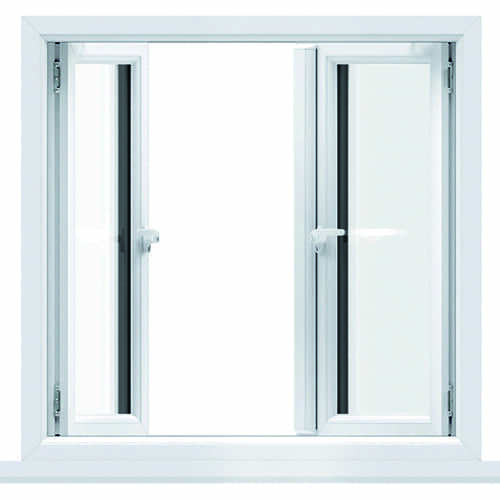 Windows Plus are experts in supplying and installing French casement windows in Norwich properties. 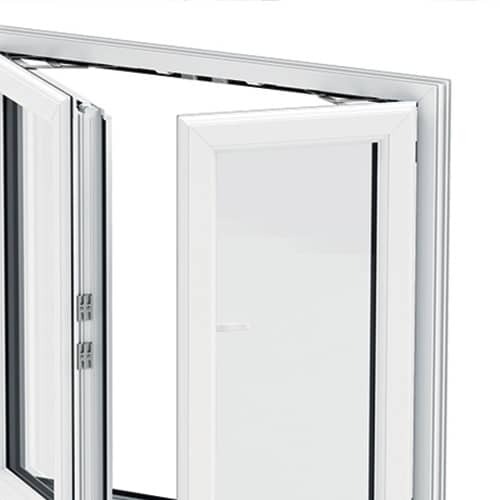 There are many advantages to choosing French casement windows in Norfolk from Windows Plus including their excellent energy efficiency levels, attractive colour range and their environmentally friendly properties. Our French casement windows are a super addition to any home in Norwich or throughout Norfolk with a classic European charm that works brilliantly for both traditional and contemporary style homes. The simple but elegant design is a popular choice, as much for its aesthetic as its function. Our uPVC French casement windows consist of two window sashes that open to create a single large aperture without a central bar to block your view. This is achieved through a flying mullion on the second sash. You’ll enjoy unrestricted views of the outdoors which will provide any room with an increased sense of spaciousness. 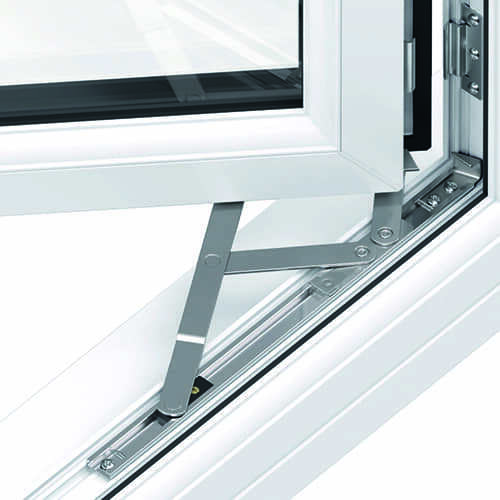 Both sashes can be opened to a full 90° which not only creates the wide aperture but also allows these beautiful windows to be used as an emergency exit, in case of fire for example. They are fully compliant with Part B of the Building Regulations to give you that extra peace of mind. While you’ll enjoy the unencumbered views with the windows open on a clear day, you’ll also benefit from incredible protection from the weather when required. 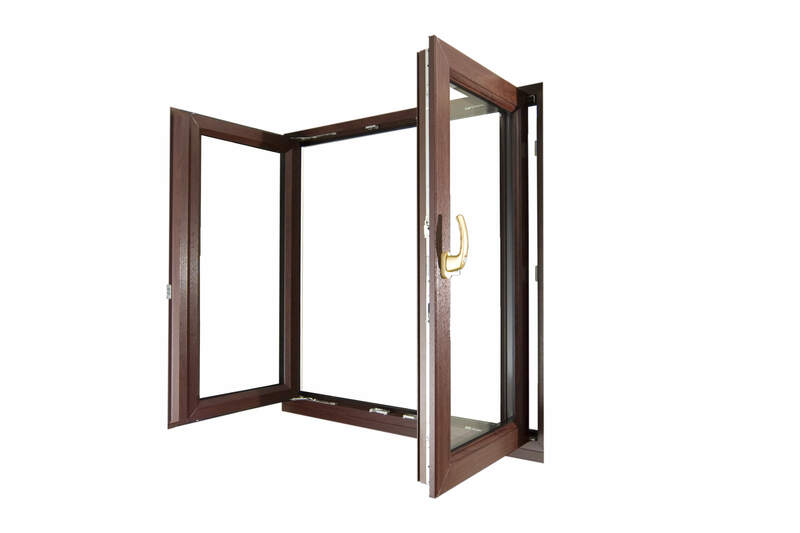 Our French casement windows have been specially designed to withstand the very worst of the British weather. High performance features such as gaskets are in place to eliminate cold draughts and water ingress. Our windows have been rigorously tested to meet and exceed British standards for weatherproofing, air tightness and wind resistance. The ingenious design of the uPVC window profiles provides homeowners in Norwich and throughout Norfolk with impressive thermal performance. The multiple chambers of the profile trap pockets of air inside to create a barrier which prevents the cold transferring to your home. When combined with our energy efficient glazing, you’ll benefit from double glazed windows that will increase the heat retention of your Norfolk home. Enjoy reduced heating costs as you’ll be able to use less energy to heat your home and keep it warm. With your central heating system more efficient, your carbon footprint is reduced to help protect the environment. Here at Windows Plus, we understand that the security of your home in Norfolk is of paramount importance. This is why we ensure each of our French casement windows are fully fitted with Yale high security locking systems as standard. 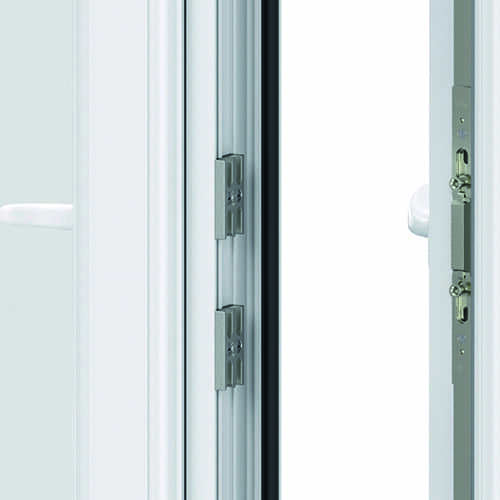 The multipoint locking mechanism offers an exceptional level of security for you and your family. We only provide our customers with the very best, which is why we use Yale, the world’s favourite locksmith. See our product brochures for full security specification. The incredibly durable uPVC profile of our French casement windows means that, unlike timber, your windows will never warp, rot or fade. Simply give them an occasional wipe down with a damp cloth to maintain their charming appearance and keep them looking like new for many years to come. You can calculate your unique French casement window online quote using our double glazing prices calculator. All you need to do to see your free, no obligation guide price is select your window options, enter few details, and you’ll see your French casement windows prices in moments!